We're learning from our mistakes, and this time we've decided to have a pre-release for everyone to try to break, before we officially release version 3.7. Of course, there will be some issues present, especially with our Linux and OpenGL support. These features are both currently considered beta - not fully production ready, but getting there! Some of these issues we will endeavor to fix before 3.7, others we will leave as known issues in 3.8. So, what is it we'd like you to do? On a basic level, it'd be great if you could pop over to our downloads page and grab the release candidate. Make a project, run it, see if things work okay in your system! 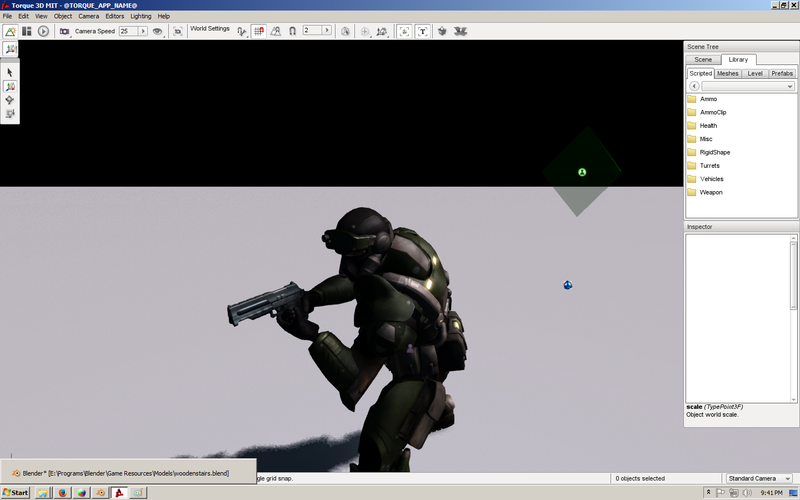 If you're feeling adventurous, you could even try our new OpenGL rendering backend. We're really happy to be able to say that with 3.7, official support for Linux is back on the table! Bear in mind that as I said above, we consider this a beta feature, so there will definitely be some issues. We'd love to hear about them, as increasing support and stability is a top goal for 3.8. Faster TorqueScript, and anonymous functions! I was testing the development branch for awhile and is very stable. Good work guys! Oh dear, I did break the PM. Ugh. That's why it's a beta, haha. I hear a brief crackle as this scrolls by, but when playing the demo maps, there is no sound at all. The only other issue I had is that the "rt" system runtime library was not being linked by default, so I was getting undefined references to clock_gettime(). Also, if you go fullscreen at a resolution other than the desktop's, it messes up your desktop on exit, but those are minor issues compared to the sound problem. @ Levitator, can you post the Linux issues on Github? It's a more controled place for problems. I will try to reproduce this weekend. Thx a review and post your issues. After renaming the main.cs most things seem okay after a cursory play around with it. tools/gui/guiPlatformGenericMenubar.ed.gui (0): Unable to instantiate non-conobject class GuiPlatformGenericMenuBar. which is rather a lot! Also noticed that textures for objects get a funny warning I don't remember seeing in other versions. Materials still load but noticed the console spam. Warning: Fixup invalid URI in Turret_D_psd: "file://Turret_D.psd"
Probably nothing to worry about. Zoom/blur shader gives console spam but that's nothing new. OpenAL seems fine, think that I'm running installer 2.0.7.0 and dll 6.14.357.24 in system32. Giving TsStatics alpha blending to fade out is a really cool idea. Brought to IRC attention that there's a bug in the editor gui. 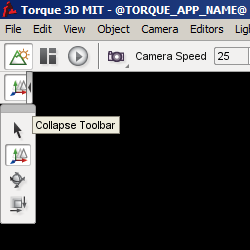 Collapsing the tools button menu means that you cannot get it to re-expand without shutting down and restarting T3D. Yeah, that thing pretty much only breaks when a new icon gets added to it. I ran into it once myself. Easy to fix, but it can be a bit finnicky if you don't pay attention to it.